Nightscaping® has built its reputation on designing original and handcrafted landscape lighting fixtures since 1959. 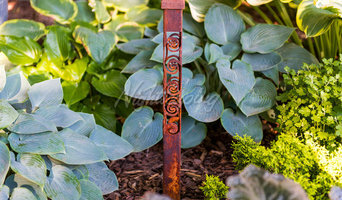 One of their newest creations is their Cor-Ten Steel Landscape Lighting Bollards. The dramatic shadow patterns created by Nightscaping's® beautifully handcrafted steel fixtures translates into a breathtaking alternative to the traditional pathway and area light. Nightscaping's® heavy duty 12 gauge steel bollards are designed to last through generations and is handcrafted in America. 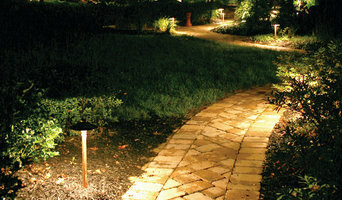 The Nightscaping® Cor-Ten steel light bollards are great for driveway garden, pathway lighting and much more. Nightscaping® is the only choice when it comes to illuminating your home, garden or business. When you purchase one of our American made luminaries make sure to ask if you qualify for our FREE Installation. Nightscaping® offers free installation for any bollard purchased through Houzz. To learn more please visit Nightscaping's® website. Experts in low voltage outdoor and landscape lighting systems and technologies. We design, install and service all low voltage lighting systems. Since 1995, we've been lighting the way for homes and businesses in US and Canada. 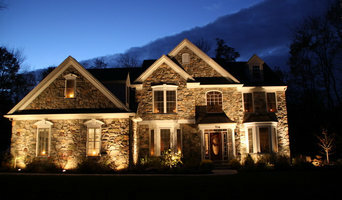 Wedolighting.com specializes in designing and installing the world's most beautiful outdoor and landscape lighting! We have designed and installed projects around the US. We service both residential and commercial properties. Your Holiday Decorator We have offices in N.E. PA and the Washington DC area. We are a Eastern Pennsylvania based full service electrical company specializing in designing, maintaining and installing commercial and residential electrical systems. We can handle projects of any size. No project is too big or small. Our talented electricians will make sure the job is done on time and right the first time. We look forward to working with you! Industry leader in custom irrigation and outdoor lighting systems. Let our design team create an atmosphere that compliments your outdoor living space and landscape. Serving South Jersey, Pinnacle provides outdoor lighting installation & service, irrigation installation & service, and outdoor audio installation and service. The quality of the work we provide coupled with our superior customer service is what sets us apart. It is our goal to give every customer a specialized experience - whether it's from starting up your sprinkler system to installing a complete outdoor lighting system. Our Refrigerator and Freezer Case LED Lighting is the best on the market for showing off products in under shelf, canopy, and vertical cooler display cases. Meet Oco - weather proof outdoor and indoor cameras with SD Card and Cloud storage. Connect Oco via Wi-Fi or Ethernet cable in no time and access Full HD video from anywhere with our App. Oco can sustain extreme cold and heat. No monthly fees required to access all features like smart motion detection or night vision. Use both Cloud and local SD Card storage and never worry about your internet connection going down. What services do Reading outdoor audio and visual system professionals provide? For the most part, people hire outdoor entertainment system providers for backyard installations. After all, pool parties and barbecues are much more fun when there is music to enjoy. How do they do it? Your Pennsylvania outdoor custom audio system technician can work with your landscape designer or architect to install weather-resistant outdoor speakers, discreetly buried into your landscaping with no loss of sound. Here are some related professionals and vendors to complement the work of outdoor lighting & audio/visual systems: Landscape Architects & Landscape Designers, Landscape Contractors, Decks, Patios & Outdoor Enclosures, Siding & Exteriors. Home theaters are moving outdoors, too. Sports fans can grill without missing the game, and families can invite neighborhood friends over for movie nights. Special weatherized flat-screen TVs are coated to minimize glare. 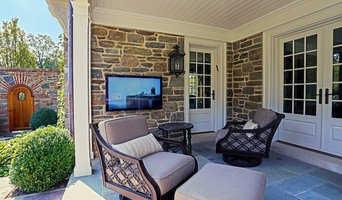 Imagine your Reading, PA backyard with a custom-designed outdoor theater system — complete with a large projection screen. It makes backyard entertaining easy. Find outdoor audio and visual system professionals on Houzz. 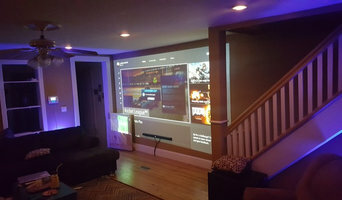 Look in Houzz’s Professionals section to find Reading, PA outdoor audio and visual system experts. Narrow your search to the nearest city or metro area for a list of nearby businesses. Get contact information, read reviews and look at completed Pennsylvania custom outdoor sound system projects.